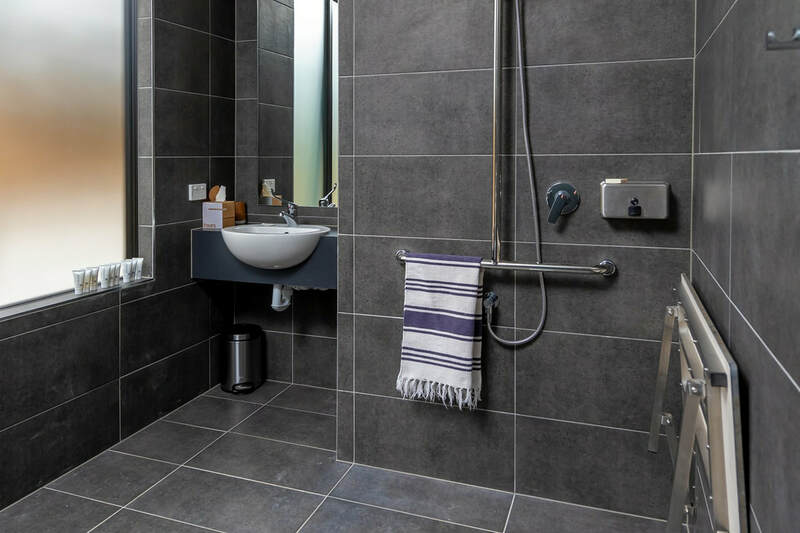 ​At Worendo we aim to ensure everyone's stay is as enjoyable as possible. 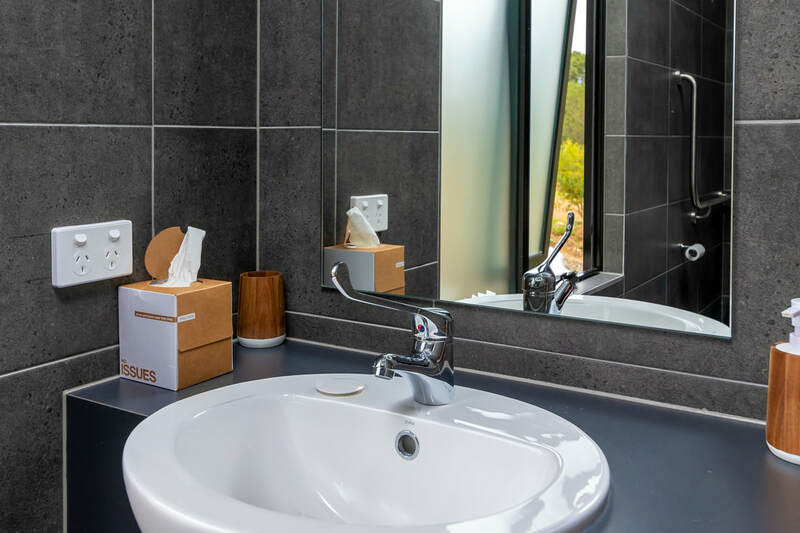 We are committed to providing suitable access for all our guests, whatever their individual needs. For this reason we have built our Barcoo Cottage with People with Disability in mind. Parking: The Car Park at Barcoo Cottage is concrete, level and is 7metres x 5.8metres. It joins evenly to the entrance ramp of the cottage for clear and level access. Please take the second driveway entrance off Cedar Glen Rd (just past our main entrance) to avoid any gates for direct access to the cottage. The parking space is not under cover. ​Vision: Colour contrast has been used on all door ways, and the stairs from the back deck. There are also tactile indicators at the top and bottom of the steps. A smooth and continuous hand rail is there as a guide from the base of the steps and along the full length of the verandah. Service Animals: Although Barcoo Cottage is not listed as pet friendly we will make an exception for all service animals. Please let us know if your service animal has any special requirements which will make their and your stay more comfortable. ​Guest Bedrooms: Door ways are 880mm wide. Doors open outwards and are easily opened with one hand. Flooring is timber without bumps or gaps. All furniture in the kitchen and living area except the sofa bed is easily moveable for extra space. ​Bathroom: The Door way is 880mm wide. 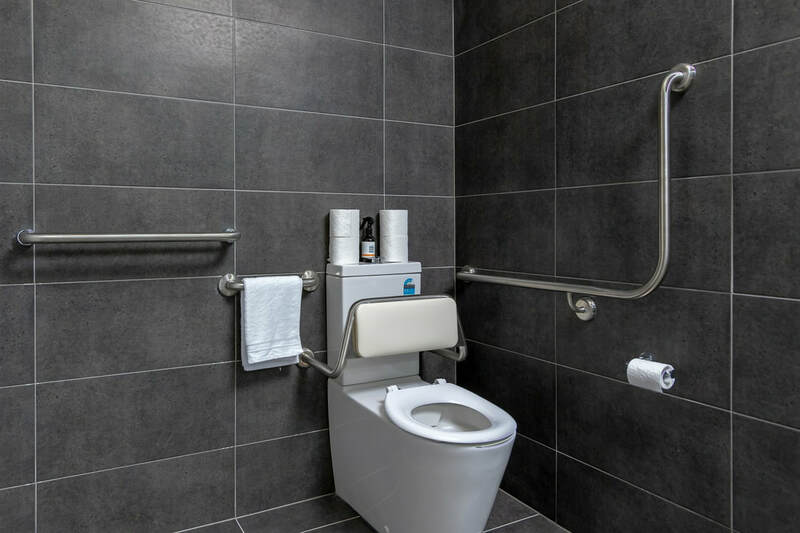 The toilet is fitted with grab rails. 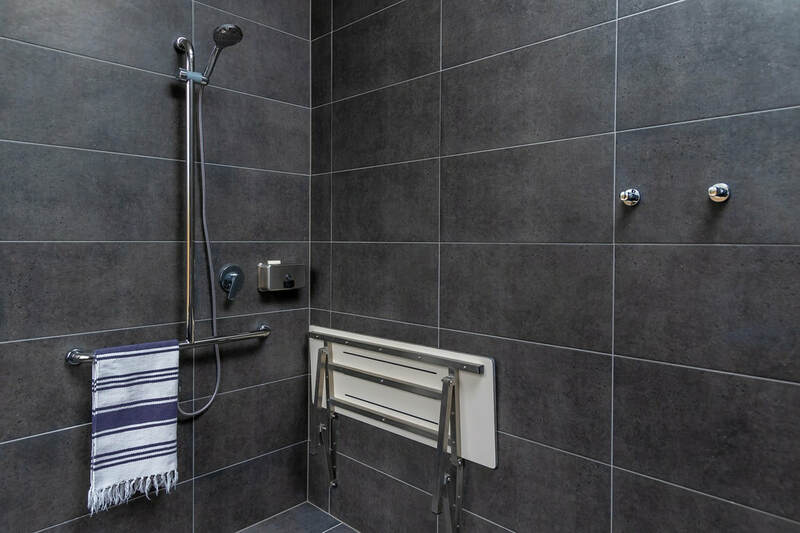 The shower area is fitted with grab rails and a fold down seat. 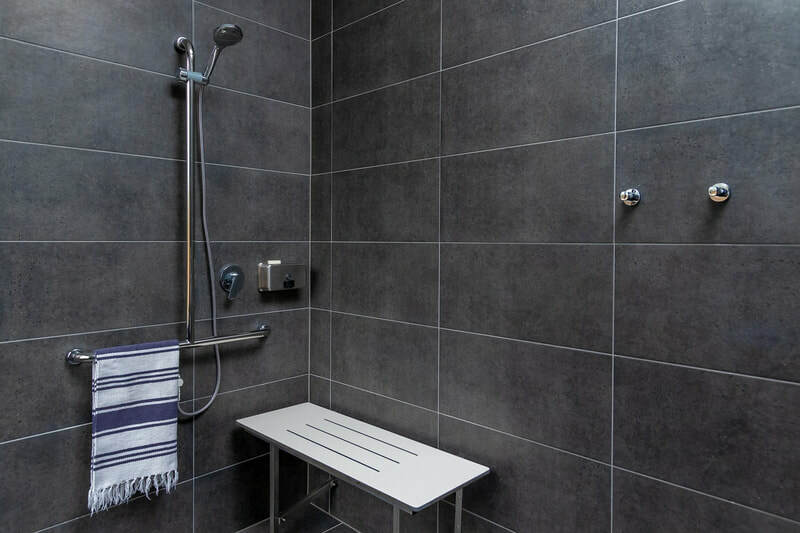 The shower area is 1450mm x 1500mm with no obstructions to access. 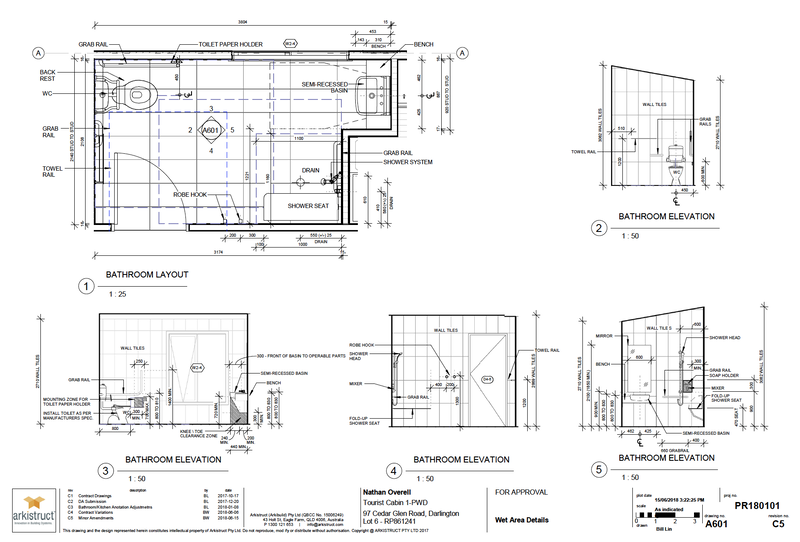 The room is 1900mm x 3700mm with no obstructions other than the toilet and the sink. 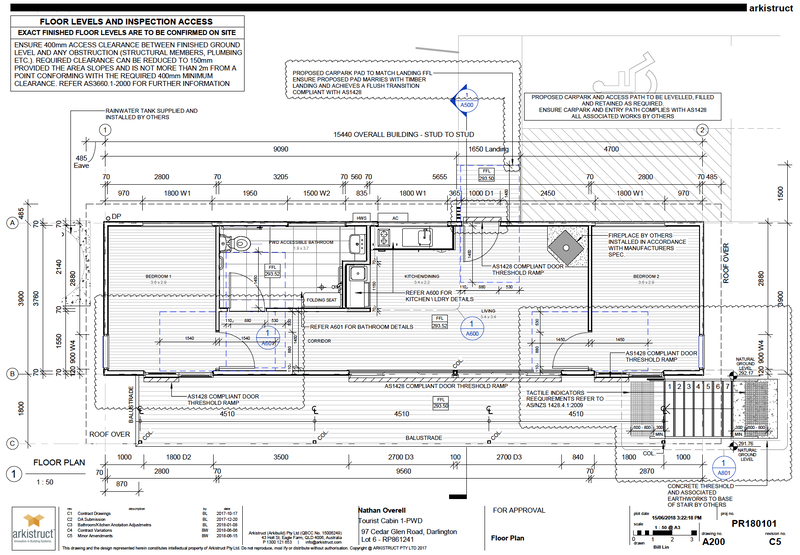 Please see the image below containing the plan and all measurements.